On Tuesday, June 6, 2017, Texas Governor Greg Abbot announced that a proposed law to ban texting while driving has been signed into law. H.B. 62 - the title of the legislation that has been rocked back and forth by politicians in both chambers of the state government - will make it legal for police officers to penalize drivers who are on their phones by a fine. Although initially deemed controversial across the political spectrum, the support for passing the bill was great enough to pass the required majority vote. What Constitutes as “Texting" While Driving? With the passage of this legislation, drivers who are found texting while driving will be fined $99 for their initial offense, followed by $200 for further offenses. 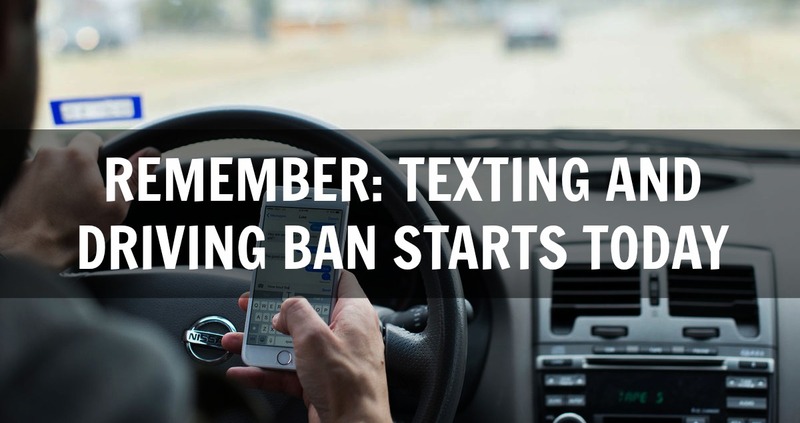 It is important to note that the ban applies to texting only. Other smartphone uses, such as using the Internet or using GPS and other direction-based applications will not be penalized. According to several sources, Governor Abbott signed the bill into law because he was not content with the way that different cities had different forms of a texting while driving ban. Governor Abbott expressed that a “patchwork quilt of regulations” was not adequate in enforcing a statewide-level ban. The new ban is aimed for the state to be under a single law, not multiple versions of one. Just days before signing the bill into law, Governor Abbott appeared to be hesitant in transforming the proposed bill into a law. One of the biggest factors that pushed H.B. 62 into becoming law was a terrible accident that occurred early this year in March. The accident, which held a total of 13 deaths, was caused after the driver of a pickup truck crashed into a church bus. Following a federal investigation, it was concluded that the accident was caused because the driver of the pickup was texting when the accident occurred, in addition to possibly being under the effects of the prescription drugs he had taken. The new legislation won’t be put into effect immediately, which allows for the state to be informed of the specific provisions of the law, as well as allowing the legal process to go about as smoothly and naturally as possible. The law will start being enforced on September 1st, 2017. It is important for drivers who have any questions regarding the new law to ask their local law enforcement offices for any explanations of how the law works and how it will be administered. Also, it is important for drivers to comply with the new law. Texas will now be the 47th state in the United States to have a statewide texting while driving ban in effect. As previously mentioned, the law is designed to be administered in a statewide manner, instead of a “patchwork” type of ordinances. The overall goal of the law is not for fines to be handed out to drivers who are texting while driving, but to save the lives of the drivers and of others. Starting next year, the effects of the law will be able to be analyzed following the implementation of it after a full annual cycle.